Guest post: John Q. Barrett is a professor of law at St. John's University and a scholar who is writing the biography of one of America's great Supreme Court justices, Robert Jackson. John discovered and edited (and I published) a wonderfully engaging memoir by Jackson of his friend Franklin D. Roosevelt, titled That Man. John maintains an e-mail listserv that features news and comment about Jackson and his times. It seemed particularly poignant, in this week of war-by-soundbite over health care, to read the following message, which John Barrett has allowed me to repost here. In summer 1928, a time of pitched policy debates and impending electoral contests, a New York State lawyer who was active in Democratic Party politics began to write occasional pieces for his local newspaper. These neighbors of mine are a representative cross-section of the community, and are made up of Republicans, Democrats and people who are not affiliated with any party. Therefore in talking about politics, I am keeping that fact in mind and have no intention of using the shop-worn methods of condemning everything on one side and praising everything on the other side of the political fence. The day has gone by when you can fool people into believing that the nation, or a state or a country or a city is going to the dogs just because one political party happens to be in power in it. People are sick of the kind of editorial writing which sees only good in every measure and every man sponsored by one party and only bad on the other side. So, too, it is the little provincial papers that today in the news-columns magnify as first page news any disagreements in their opponents’ camps and run only a half inch on the back page about any trouble in their own camp. That is one reason why the bitterly partisan press is losing its influence in this country. The other reason is that there is more and better education everywhere and readers do not as much as formerly take the views and news of a one-sided paper as Gospel Truth. I told [the local newspaper editor] I hoped he would get some Republican to write each week in this paper, but if he can’t find one, I shall try to be as fair as I can. That November, the former Beacon Standard columnist, Franklin D. Roosevelt, was elected governor of New York. In that office and in his next office, he got, at least sometimes, the fair and balanced media coverage that leaders and policies, and also we neighbors in the audience, deserve. I was intrigued to see the announcement a few days ago that Penguin USA is launching a new imprint, called Current, specializing in science titles. Its publisher, Adrian Zackheim, already heads two other imprints, Sentinel and Portfolio, devoted to conservative books and business books respectively. As Adrian observed in the press release, Penguin has had good success with niche publishing in those two areas: expanding into another niche seems like common sense. To me there are two interesting features of this news. First, that Penguin is expanding its array of special-interest imprints (it has several other small lists in addition to the ones mentioned above). The estimable Mike Shatzkin has long argued that mastering niche audiences is the only viable future for publishing companies, and I think he may well be right. Penguin, with its vast and broad lists in paperback especially, is a long way from being a niche publisher--but are they beginning to steer the ocean liner in that direction? And I'm pleasantly surprised to see that the area they have chosen to expand into is science. For some years now, popular science has been a category underserved by big publishers. Ten to fifteen years ago, in a great publishing tradition, every house in town piled into science books, chasing blockbuster successes like Stephen Hawking's A Brief History of Time and James Gleick's Chaos. "Science books don't sell." It became difficult for even a first-rate science book to find competitive bidders. Of course, the audience for good, accessible science titles never went away--it was first surfeited, then starved, by publishers. Other categories have gone through similar cycles. After the rage for science, we had a rage for history books--then that bubble burst and we heard, "oh, you can't sell history any more." Anyway, Adrian Zackheim is a smart publisher, and if he thinks science is a category on the upswing he probably has some solid evidence. I enjoy reading, and editing, science titles so I'll keep an eye on Current with interest. Meanwhile, I and my colleagues at Walker & Co. have been quietly publishing popular science all along (as have several other fine editors elsewhere). We'll all be here to provide Penguin with some competition. 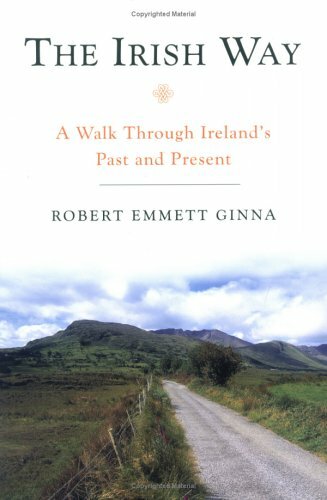 With St. Patrick's Day upon us I have to toot the horn, or the uilleann pipes, for two books that every good son or daughter of Erin should know about--one that I published, one that I didn't. The first is Jay P. Dolan's sweeping history The Irish Americans. 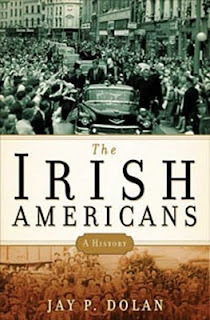 It surprised me to learn, when I began talking to Jay about the book he was planning, that no general history of Irish-Americans had been written, at least for a trade audience, since the 1960s. Any field of historical research throws up new insights over such a span of time, but social history and ethnic history in particular have boomed in the past few decades. Jay, who had written pioneering works in this area, was an ideal author for the the topic. He drew on his own research and wove it together with the other recent scholarship in a richly colorful narrative. The Irish Americans follows the Irish from their first arrival in the American colonies through the bleak days of the potato famine that brought millions of starving immigrants, right up to the election of JFK, the triumphant moment when an Irish American attained the White House. The book manages to evoke the ghastly ships crowded with men and women fleeing the potato blight; the backbreaking toil of Irish navvies digging the Erie Canal; vibrant life of Catholic parishes in cities like New York and Chicago; and the world of machine politics, where ward bosses often held court in the local saloon. It's a grand tapestry of the Irish experience in America, and I might add, the perfect gift for your Irish da, gran, or brother-in-law. Don't just take my word for it--the Wall Street Journal's excellent review is here. Pour yourself a Jameson's, or if it's not that hour, brew a cup of tea--in my family we ask for it "strong enough to trot a mouse across"--and settle in. 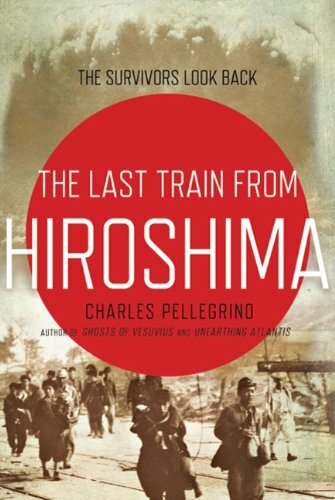 The kerfuffle of the week has been the news that an acclaimed new book, The Last Train from Hiroshima by Charles Pellegrino, had to be withdrawn by its publisher following the revelation that important details in it, including the testimony of a supposed eyewitness source, were apparently fabricated. As happened in earlier cases of authors doctoring the truth, some readers have raised questions about "quality control" problems in publishing, and asked, don't publishers fact-check their products? Well, no, actually. A major difference between book and magazine or newspaper publishing is that publishers don't have fact-checkers on staff, and never have. This is not, as some cynics might suppose, because book publishers don't care about accuracy as long as a book sells. It's partly because, unlike those media where advertisers support (or used to) a large editorial staff, book publishing has been a far leaner enterprise (or as some would say, a cottage industry). But a more important reason, I believe, is that in book publishing, unlike journalism, the content has traditionally belonged to the author, not to the house. This is reflected in book contracts, where copyright is typically retained by the author; more to the point, it's firmly established in publishing culture that you never make editorial changes without an author's consent. As an editor you may lean pretty hard on an author to make revisions you feel are necessary (Gordon Lish's interventions with Raymond Carver being the extreme example)--but ultimately, "the book belongs to the author," and to change it or not is his or her prerogative. With that prerogative goes, inevitably, a greater responsibility for the quality of what you write. Now, any good publisher wants to produce the best books possible. While we don't have fact-checkers, we have copyeditors who go through manuscripts with a fine-tooth comb, after the editor has already worked with the author to get the book in shape. I have done my own fact-checking from time to time when an author's statement seemed questionable, and the best copyeditors will frequently check sources as well as spelling and punctuation. Furthermore, any manuscript that might raise issues such of defamation or privacy goes through a careful legal review. In the end, though, we have to trust our authors. I don't take on a work of nonfiction, especially a controversial or even unconventional one, without satisfying myself, perhaps just at gut level, that the author is presenting the truth responsibly. But I have to recognize that I can be fooled. Reading about the case of Charles Pellegrino, who supposedly produced--or at least, said he had--documentation of his bogus souce (who was a real person, but apparently not present at the event he claimed to witness), I suspect I might well have accepted the author's account. Once we have decided to trust an author, we usually give him or her the benefit of the doubt on matters of fact just as on matters of style or argument. Of course, this leaves us vulnerable. But in book publishers' defense, the impulse to trust the people you work with is a hard one to overcome. Look at the cases of Janet Cooke, Stephen Glass, or Jayson Blair, whose fabrications sailed through the presumably gimlet-eyed fact-checking operations of the Washington Post, New Republic, and New York Times respectively.